The CleanRiver team just returned from attending the California Higher Education Conference at UC Santa Barbara. This was our third year participating at CHESC and once again the conversations and insights about campus sustainability with students, staff and attendees did not disappoint. 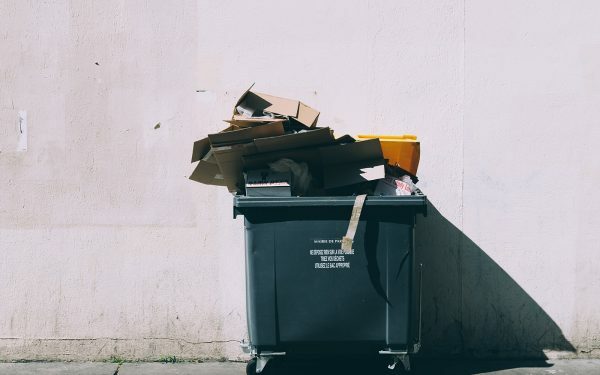 This year, one question that certainly stood out and we found ourselves repeatedly discussing was how do you avoid competing recycling programs at your school and what should you do about them? 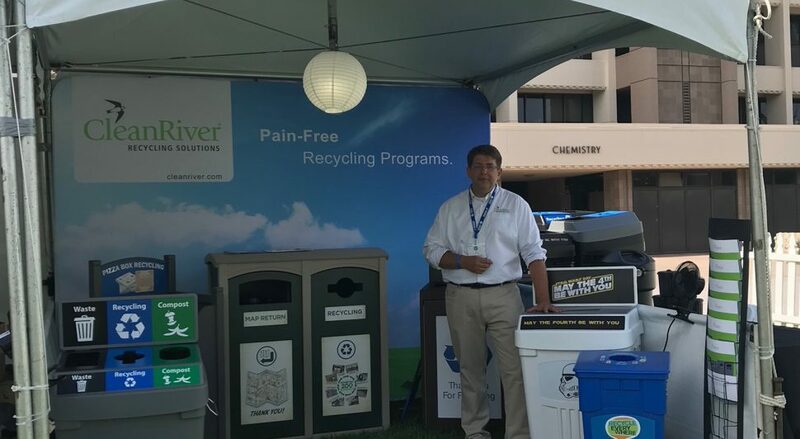 We thought we would share our own approach to this dilemma in case you were facing a similar issue with your organization’s own recycling program. What Does It Mean To Have Competing Recycling Programs? 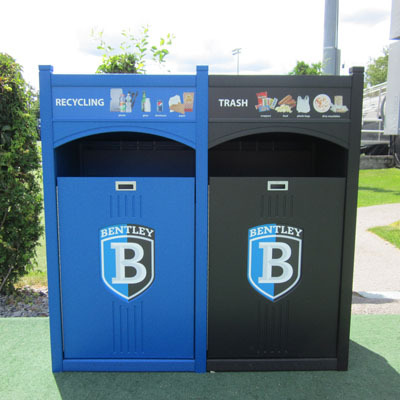 Competing recycling programs are when you have different people in charge of purchasing waste and recycling bins for different locations throughout a school’s campus. For example, the facility manager may be in charge of ordering bins for the athletic center and dormitories, while let’s say the sustainability manager is charge of ordering the bins for the cafeteria and student center. Meanwhile there is no communication between these two decision makers about what the other is ordering. 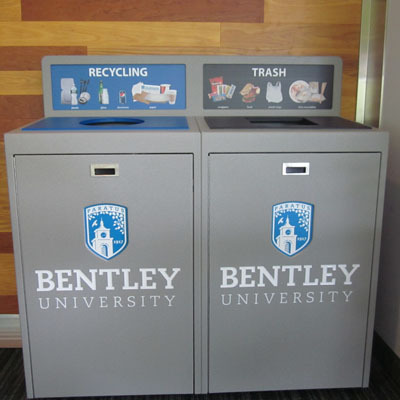 The cafeteria bins could be collecting three different streams (waste, recycling & compost) while the dorm bins are only collecting two streams (waste and recycling). The result? 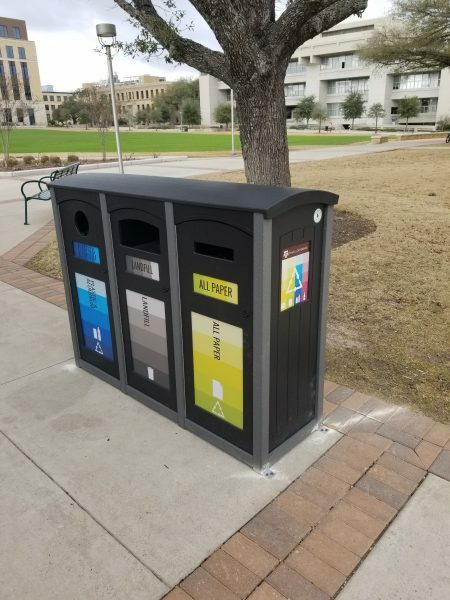 You end up with different waste collection streams, different messaging, different stream colours, and different opening shapes throughout the entire campus. 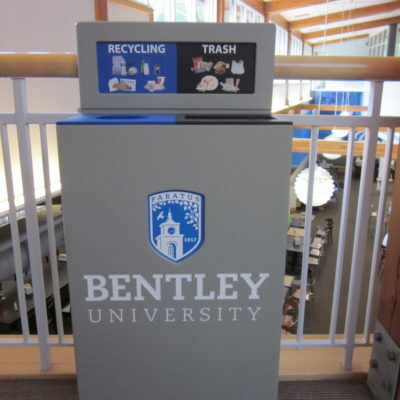 Ultimately, you wind up just confusing staff and students with lots of nice looking bins but an ineffective recycling program that is doing very little to increase your waste diversion rate. At the end of the day it doesn’t matter if some of your recycling stations are set up with organics streams if you don’t have a waste hauler that is going to collect it. Something is very wrong if every department on campus is collecting different waste streams because your campus will only have one waste hauling contract. It is crucial when planning your school’s recycling program and before ordering any bins to have a very clear understanding of your current waste hauling contract. Depending on the recycling guidelines in your city/region your waste hauler will tell you whether you can mix your recycling or if you have to separate it. If they will collect recycling streams separately (i.e. separating cardboard, cans, bottles, and paper) they may be willing to charge less for collecting these items this way than commingled recycling or garbage because they have a higher commodity value. Check out our list of questions: What You Really Need To Know From Your Waste Hauler to help you investigate the current situation and identify areas of potential cost reduction. To avoid competing school recycling programs it is also important to get everyone on the same page. Our advice is to appoint one person in charge of the entire school recycling program. 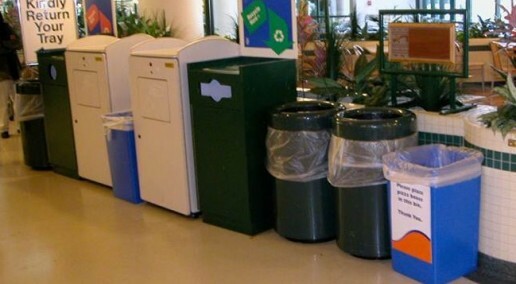 It should be their job to communicate to the different departments the details of the recycling program such as what streams to collect, what waste items go where, and the types of recycling bins to order. Tell everyone about the recycling program, what the goals are, and what exactly is recyclable. 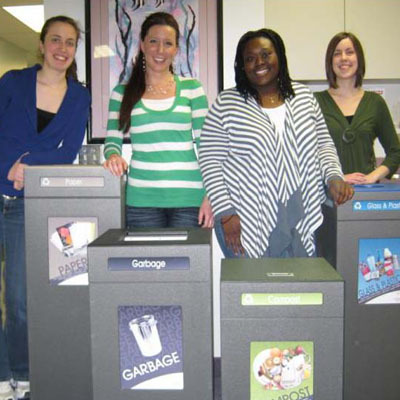 For more tips on how to increase program student and staff participation check out How To Motivate Students To Recycle. A lack of standardization leads to recycling program confusion. So just remember the CleanRiver K.I.S.S: Keep It Simple. Standardize! Every recycling program needs consistency to make it simple and easy for employees to do the right thing. Don’t overcomplicate your recycling bin graphics and use clear images of what items belong in each stream. Be sure to refresh your program regularly and update your bin streams and graphics if your stream collections change. Check out our blogs 5 Step Checklist To Start A Successful School Recycling Program and 4 Most Commonly Asked Questions About Campus Recycling for more information on running a successful school recycling program.